Bridal portraits used to be the standard in the South when it came to wedding photography. The portraits are taken a few weeks before the wedding and usually displayed at the entrance of the reception or near the guest book. However, they aren’t as common anymore as couples try to stretch their budget to cover everything they want for their day. Some brides tend to look at bridal portraits as a dress rehearsal for the big day. It is the perfect opportunity to see how your entire bridal ensemble will come together. Typically, brides will get their hair and make-up done as they would for the wedding day, and get a bouquet like the one they’ll carry from their florist. 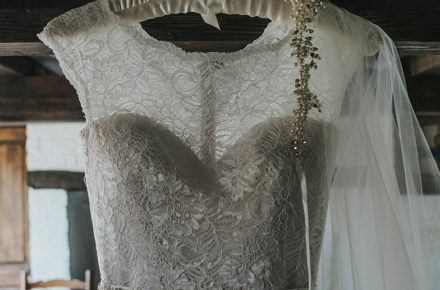 By seeing all the pieces together, you can make any necessary adjustments before the actual wedding day. It is also an opportunity to wear your dress for a bit longer than your fittings to see how it moves, and if there are any additional adjustments that are needed. Another good reason to consider having bridal portraits taken is to allow your photographer to spend more time on the shoot. Weddings are an uncontrolled event that follows a strict timeline. It is very important that your photographer sticks to your wedding timeline, so your photographer is going to have to move quickly from one micro-event to the next in order to capture all of the special moments. By having a bridal shoot before the wedding, your photographer will be able to take their time setting up the shots, ensure that the lighting is perfect, and take tons of photos. You also have the option of multiple locations, and it will give you an idea of the best poses for the day. If having bridal portraits are a priority for you but a separate photo shoot is not an option, your photographer will certainly make room for them on the day of your wedding. Don’t feel like you have to have them done. However, you will feel more relaxed and comfortable on the day of your wedding knowing that there is one less shot you have to worry about. A word of caution though. There are risks to the dress and accessories during the photo shoot. They could get dirty or grass stained before the wedding even starts! The bottom line is that bridal portraits exist as a fun tradition. They’re by no means necessary, but the extra time with your photographer and the confidence you gain from getting all dolled up makes them worthwhile. Offering wedding education and a vendor directory to couples planning their wedding in the Texoma area. The Texoma Bride Guide does not and shall not discriminate on the basis of race, color, religion, gender, gender expression, age, national origin, disability, marital status, sexual orientation, or military status, in any of its activities or operations.